Weight machines, for example the leg press and lat pulldown. 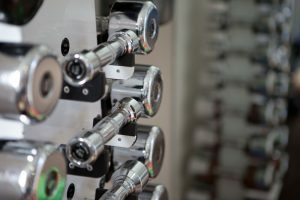 These are either pin-loaded or hydraulic and transfer the weight to the person using the machine. These are good for the beginner and establishing correct technique. 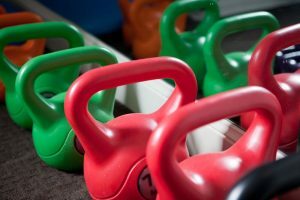 Free weights, including dumbbells, barbells and kettlebells. These encourage greater core muscle activation for stability. Resistance bands or Therabands. These are often used in the rehabilitation of injuries or post-surgery as they allow resistance to be built gradually. Body weight. Your own body weight can be used as resistance in exercises such as sit to stands, squats, pushups and situps. If you would like to learn more about how resistance training can help you, please call to book an appointment with one of our Exercise Physiologists.